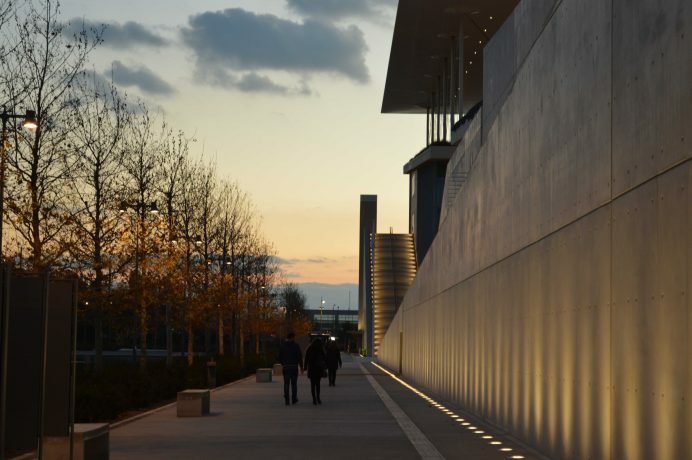 In the last couple of years, although it is suffering from the economic crisis, Athens has been transforming into a cultural hub. 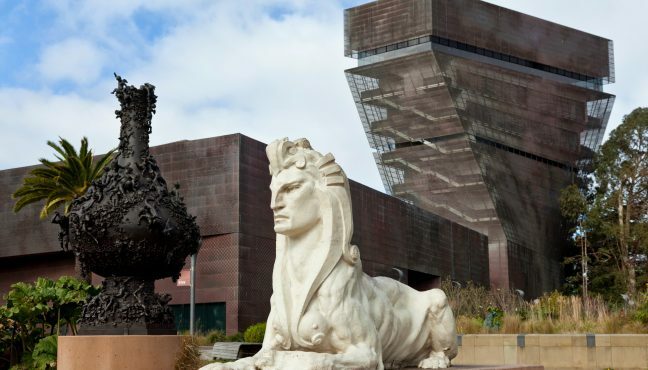 The museums and the art spaces attract a steadily increasing crowd interested in the arts. 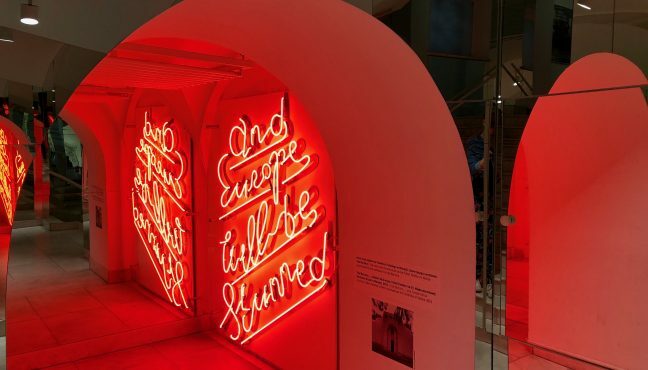 Exhibitions with noted artists such as Robert Wilson, Ai Weiwei, Marina Abramovic, are a success and accepted by the public. 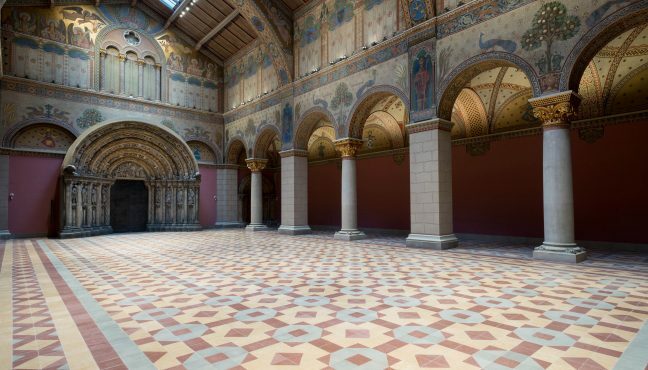 New spaces open and others are being renovated. 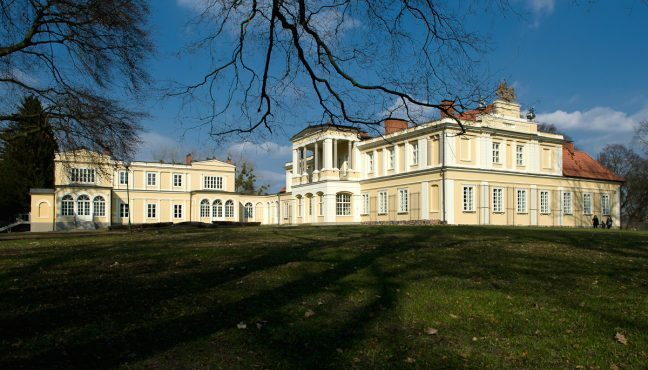 Last but not least, in March 2017, documenta 14 will be held here. 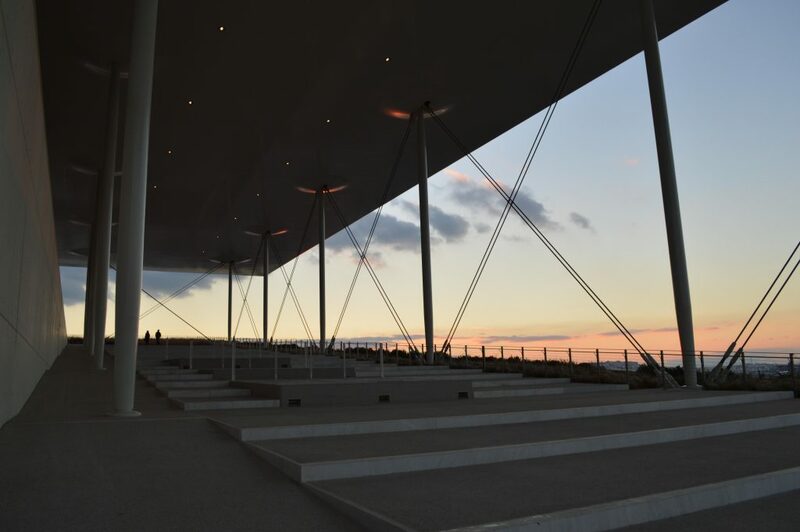 Among those newly opened spaces, the Stavros Niarchos Foundation Cultural Centre (SNFCC) is a game changer. It is located in the Faliro bay at the end of the Syngrou Avenue, 4,5 km south of the center of Athens. 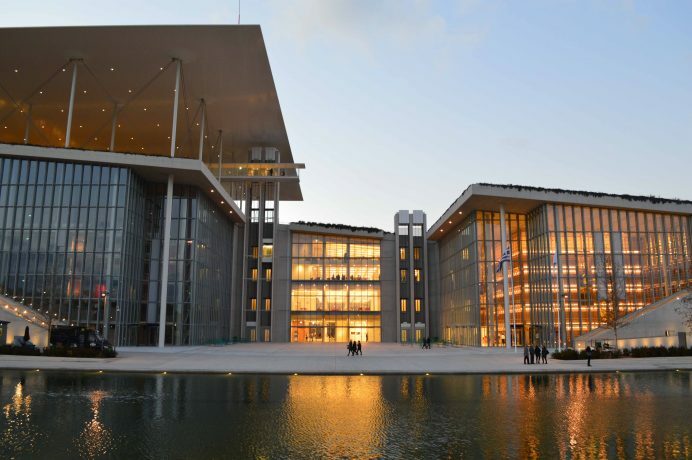 This brand new complex is going to be a new home of the National Opera and the National Library which are leaving their original home from the center of Athens for a more relaxed area near the sea. 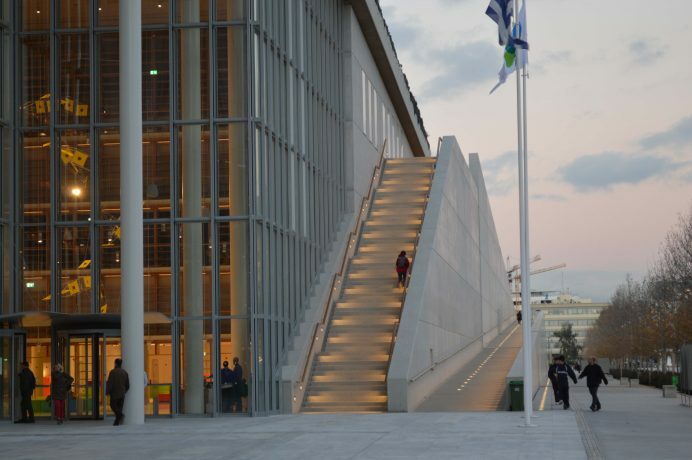 The location creates the so-called “cultural avenue” consisting of the SNFCC, the Onassis Cultural Centre (Stegi), the National Museum of Contemporary Art (EMST) and the New Museum of Acropolis. 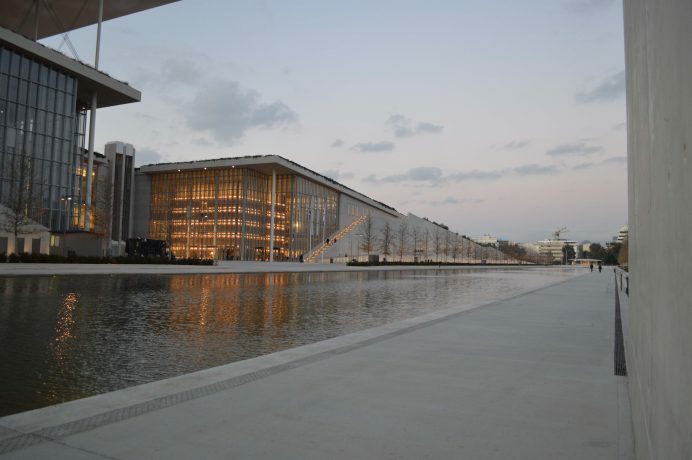 In 2006, the Stavros Niarchos Foundation announced its intentions of creating a complex for both the National Opera and the National Library. The foundation had previously decided to support both organizations financially. After negotiations, the Greek state (the former Ministry of Environment and Public Works) and the municipality of Kallithea, decided that the site of the project will be an old horse racing track. 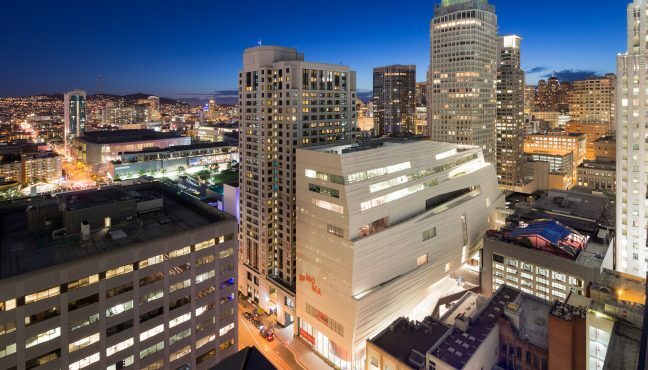 Later in 2008, the renowned Italian architect, Renzo Piano (who famously co-designed with Richard Rogers Centre Georges Pompidou in Paris in 1977) was chosen to design this center. Now, 10 years later, the construction is complete. 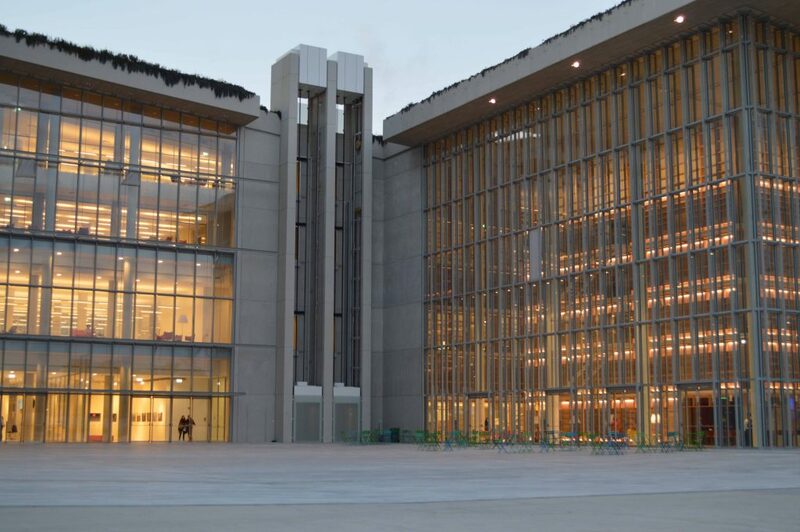 In June 2016, the SNFCC opened for the first time to the public hosting various free events like concerts, exhibitions, cinema, yoga lessons, guided tours, to name a few, in order to let the public become familiar with the space. Due to the success of these events, the center hasn’t closed since. 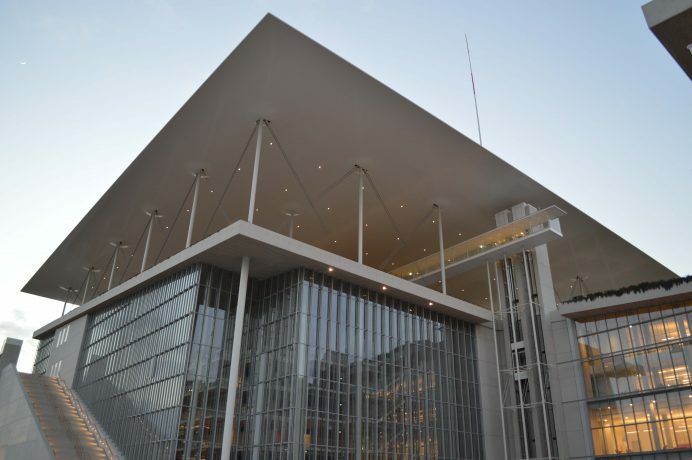 The only thing that’s left for its completion is the relocation of the National Library of Greece (NLG) and the Greek National Opera (GNO) which is scheduled to start this February with the financial support of the Stavros Niarchos Foundation. It should be noted that the SNFCC is not a private organization. 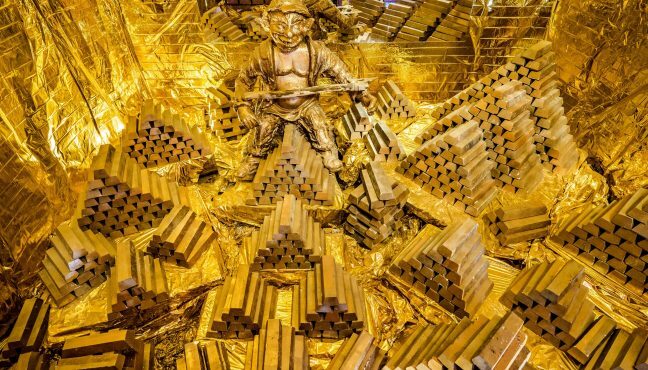 It is a donation from the Stavros Niarchos Foundation to the Greek State. 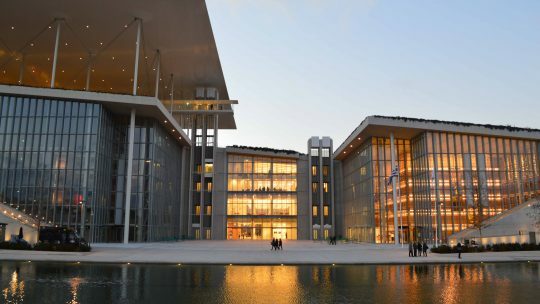 The complex consists of the National Opera building, the National Library one (with a room called “Tower of Books” in which concerts are currently hosted), the Niarchos Park, the canal, the visitor center and the light house between the two buildings. 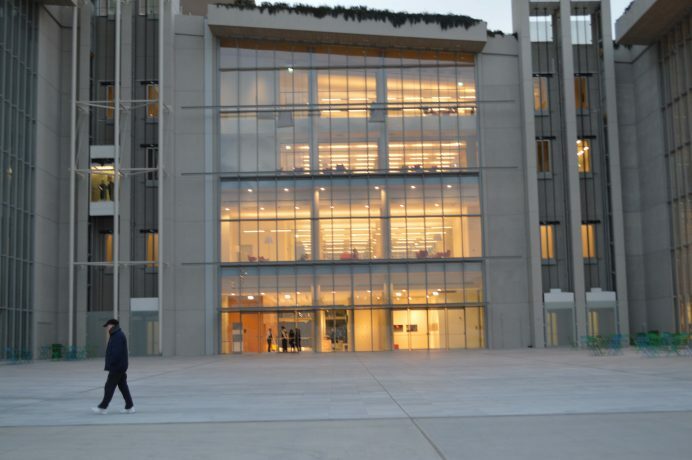 There is the SNFCC lobby, a space for future exhibitions and artistic events. 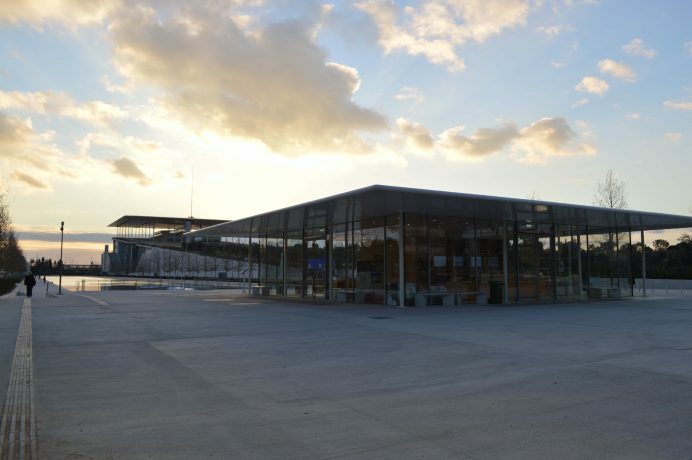 Renzo Piano created a simply breathtaking complex. 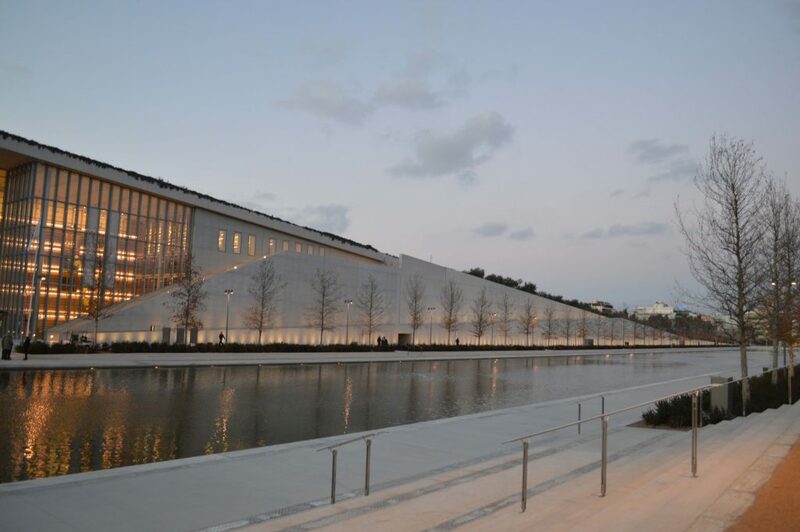 The main idea was that the SNFCC was emerging from the earth. This justifies the slight inclination in the garden created by an artificial hill covering the roof of the National Library. The canal adds the water element to the picture maintaining a serene atmosphere. At first glance, concreate seems to be the prevailing characteristic, with the natural elements breaking its coldness and its haziness. However, as you approach the buildings, glass takes the lead. The visitors’ centre is also made of glass, as is the multi-purpose room in the top of the National Opera building, used for concerts, exhibitions and as a study room. The innovation doesn’t stop there. 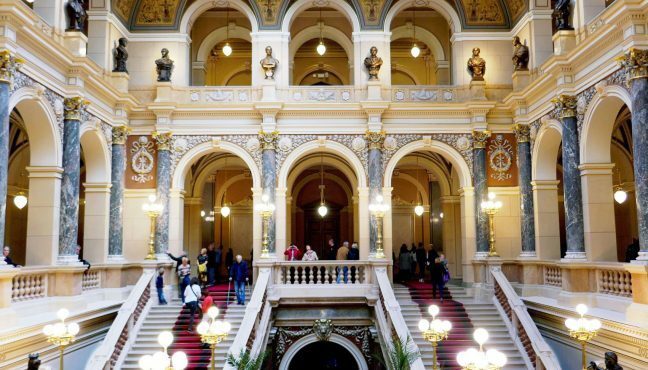 The National Opera includes a 1,400-seat opera auditorium and a 400-seat black box theatre, backstage dressing rooms and rehearsal spaces. 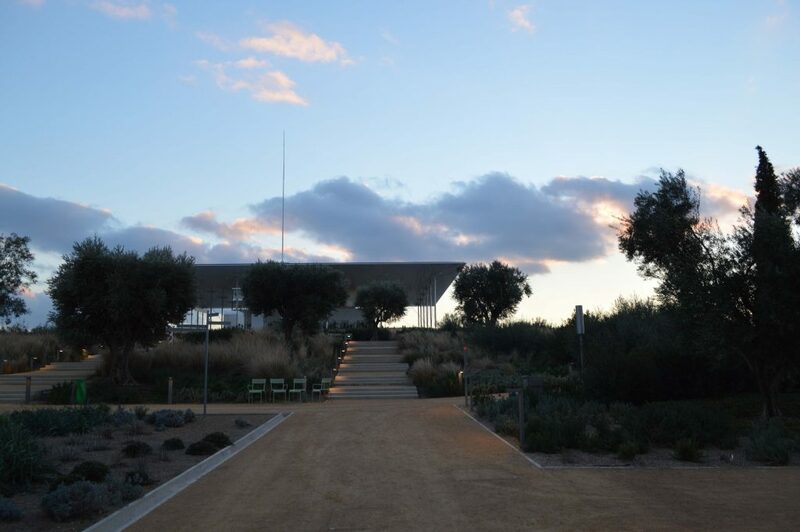 The Stavros Niarchos Park is a masterpiece with a running track, an outdoor gym, a playground, a sound garden with musical instruments, a labyrinth and the great lawn ideal for summer concerts. It is a fun place to walk and spend your morning or your afternoon. It is also a great venue for people interested in botany. The plants come from Mediterranean countries. 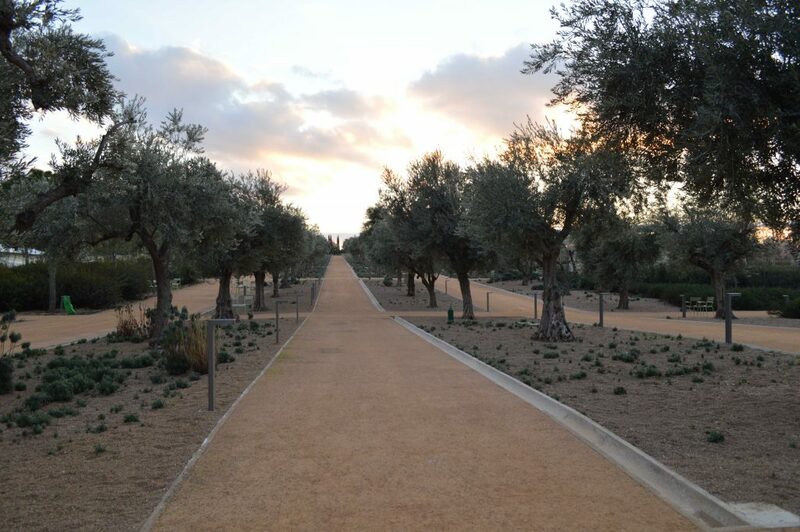 As you walk you can smell lavender, oregano, rosemary, olives or thyme. These plants were chosen because they are known for their resistance to any weather making their preservation cheaper and easier. 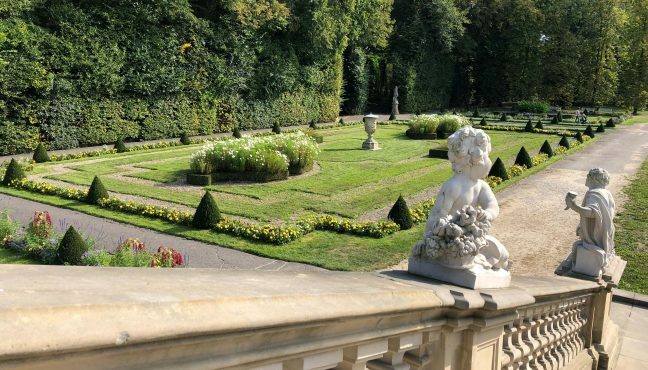 Every season, the scenery will change and so will the perfumes of the garden! The canal during warmer weather is the best place to practice canoe or sailing. The water comes directly from the sea since it is linked to the nearby bay. On the rooftop, solar panels are placed and are a source of energy. 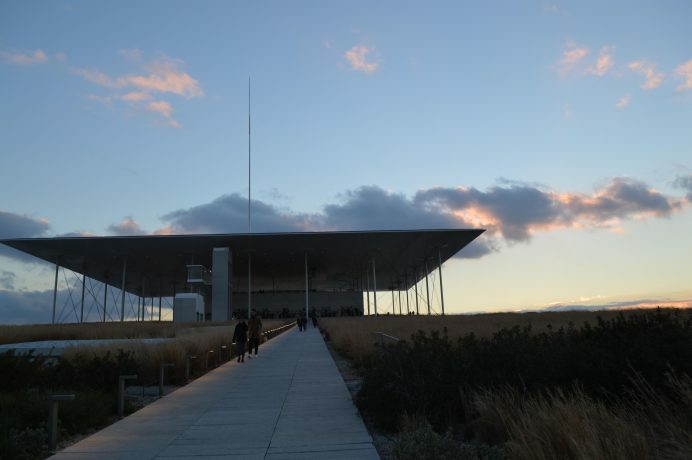 Renzo Piano, knowing the difficulty of the Greek State to maintain such places, created a sustainable complex that needs little preservation. 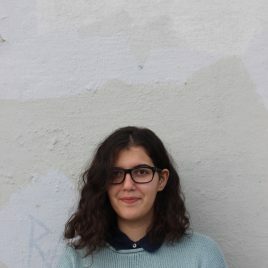 "Starting with the Chinese New Year, our goal is to introduce a new events section, through which we can initiate our visitors into foreign cultures, on the occasion of these cultures' biggest celebrations". 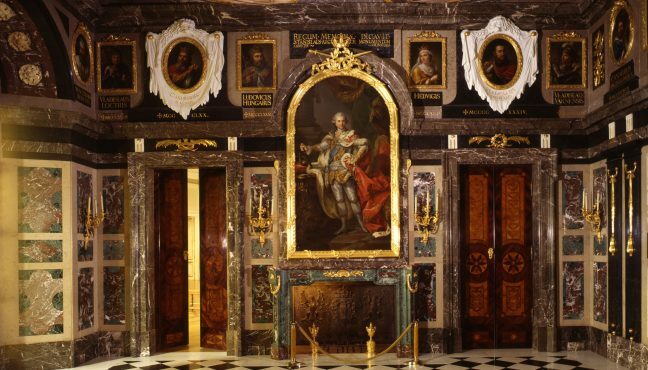 To indicate, in February there are events around Valentine’s Day, the Carnival and Clean Monday. 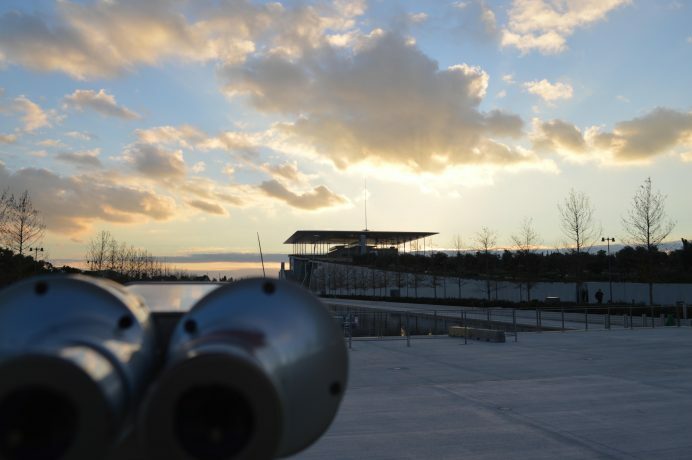 From its architecture to its atmosphere to the events, the SNFCC is a must-visit even though the relocation process still hasn’t been completed. 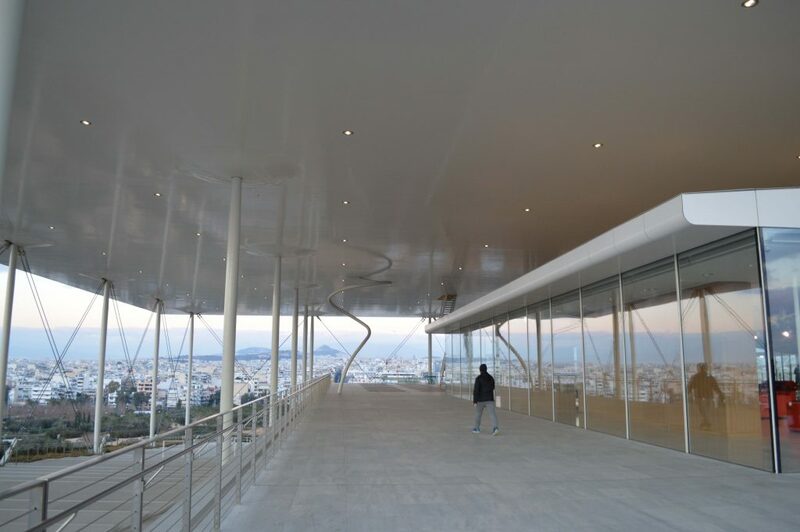 It is no wonder the place is already being called the jewel of Athens or its modern-day Acropolis.